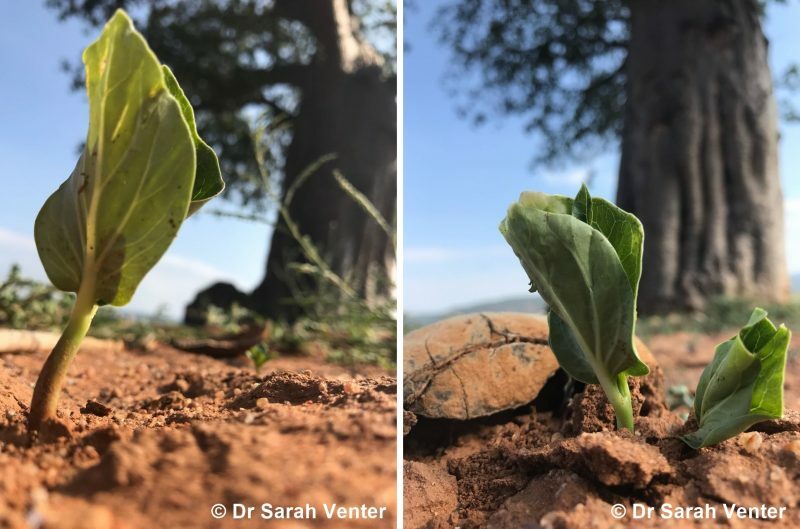 Look what I found germinating under one of the baobabs the other day and when I was out measuring baobab trees! . So lovely to see, it’s as rare as a leopard sighting! There were about 20 baobab seedlings all emerging from the earth. These seedling pics remind me of the boldness of youth. And these days sadly, if they’re growing in an inhabited area, they’re bound to get eaten by livestock. Out there in the ‘wild’ they just have to make the most of a few weeks of life and then the thousand year promise in their genes is extinguished. Which is why the work of the Baobab Guardians becomes so important. 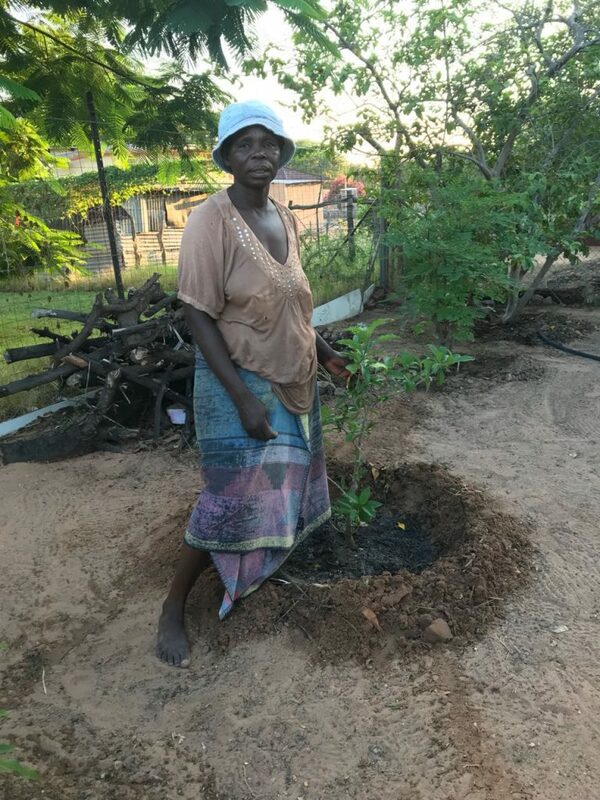 Here’s Elisa Munyai standing next to her small baobab tree which I’ve just been measuring… Elisa will now build a fence around it to protect it from being eaten until it’s 3 metres tall when it can survive by itself in the wild .